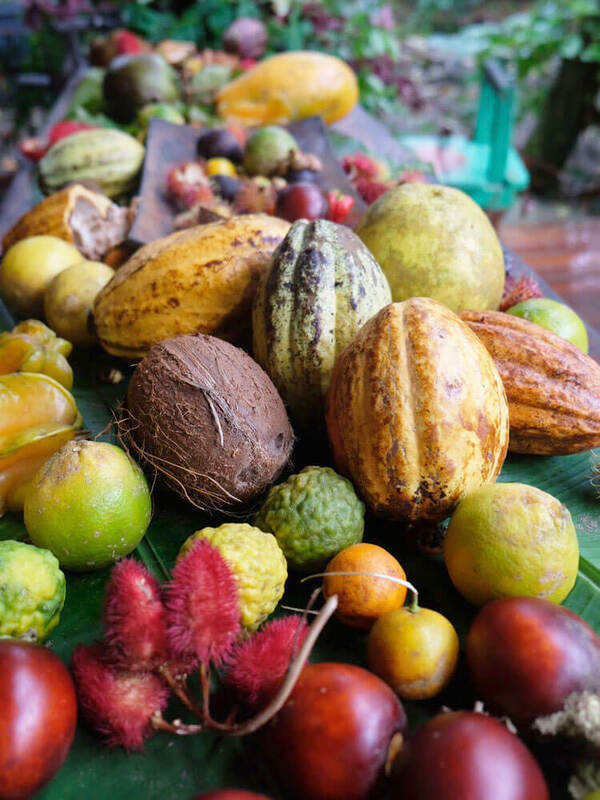 Join us in the jungle of Costa Rica for a weekend celebration of Earth and all her abundance. Ground down and reconnect with nature, with community, and with your greater purpose on this planet. Starhawk is an author, activist, permaculture designer and teacher, and a prominent voice in modern earth-based spirituality and ecofeminism. She is the author or co-author of thirteen books, including The Spiral Dance: A Rebirth of the Ancient Religion of the Great Goddess and the ecotopian novel The Fifth Sacred Thing, and its sequel City of Refuge. Her most recent non-fiction book is The Empowerment Manual: A Guide for Collaborative Groups, on group dynamics, power, conflict and communications. Starhawk founded Earth Activist Training, teaching permaculture design grounded in spirituality and with a focus on activism. She travels internationally, lecturing and teaching on earth-based spirituality, the tools of ritual, and the skills of activism. The founder and primary Director of Punta Mona, Stephen has been living in Costa Rica since 1995. Stephen observed the problems facing small farmers and communities in Central America and Costa Rica due to mega-monoculture agricultural practices and loss of dynamic community. He strives to provide students, landowners, businesses and neighbors regenerative solutions and strategies to increase quality of life. Stephen is an avid and passionate ethnobotanist, plant collector, permaculture designer and educator, and ecovillage community developer. In addition to Punta Mona, Stephen co-founded the Sustainable Solutions Caravan, Kopali Organics, La Ecovilla, Tacotal Colectivo, Alegría Village, Envision Festival and Z Verde. Penny Livingston-Stark is internationally recognized as a prominent permaculture teacher, designer, and speaker. She holds a MS in Eco-Social Regeneration and 3 Diplomas in Permaculture Design. Penny has been studying the Hermetic Tradition of alchemy and herbal medicine making in Europe and the United States for 4 years. Penny has been teaching internationally and working professionally in the land management, regenerative design, and permaculture development field for 25 years and has extensive experience in all phases of ecologically sound design and construction as well as the use of natural non-toxic building materials. Join herbal witch Sarah Wu for a tour of Punta Mona’s herbal gardens, Alchemy Lab, and apothecary. Learn about the healing properties of abundant medicinal plants we have growing, like Gotu Kola, Blue Vervain, Patchouli, Turmeric, Moringa, Tulsi, and Ylang Ylang to name a few. See the process of harvesting & producing medicines from the jungle, and learn how you can begin incorporating herbalism in your life at home. How can we develop businesses, communities, and buildings in a socially and environmentally responsible way? Jack Geier is a developer committed to sustainable design - join him for a discussion on how to take a holistic approach to responsible development practices that positively impacts people and planet. The success of your project, business, community, or personal brand depends on your ability to clearly articulate what you’re doing and why it matters. Often as entrepreneurs, we struggle to distill our grand vision down to the core, compelling value proposition - which is critical to fundraising, finding your true audience, and building your brand. Join Kara Alter, brand strategist & startup advisor, for a workshop on how to focus your vision and tell your truest story to the world. At Punta Mona, our chefs prepare three community meals per day, using ingredients harvested fresh from our farm. Our cuisine is vegetarian, organic, seasonal, and infused with an abundance of superfoods, medicinal herbs, and of course, Punta Mona love.